Now once Caelan had got a taste for grass track racing after his exploits at the Mildenhall Cycling Rally, it quickly became apparent that he was craving for more of the same. So, after his first sortie had him racing on road and not cross specific tyres due to lack of clearance on his club Dolan Pre Cursa track bike, it appeared that a move to another set of forks would have to be the order of the day. Though, as he had survived using 700×23 Vittoria Rubino’s, I decided to investigate what was on the market in terms of narrower rubbers that may suit his purposes as a few times CJ did feel the Rubino’s rear break away on him. Seek and ye shall find – Eventually I came across a shallow knobbly folding tyre titled Karvs available in 700×23, 700×25 and 700×28 fittings. 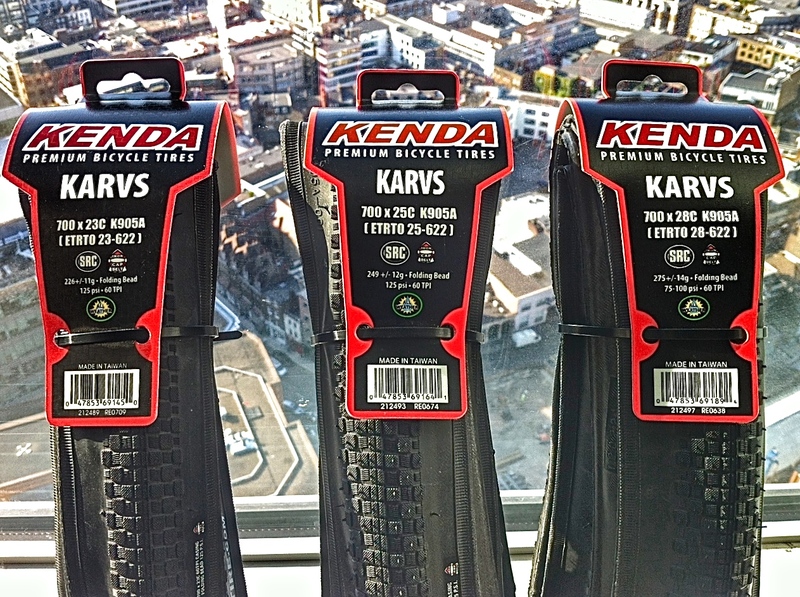 Now Kenda were once looked at as a budget tyre brand but things have changed with the likes of Peter Sagan and the Cannondale team now riding their wares and passing feedback. So it was time to investigate to see if they were a worthy tyre that could adapt to grass track racing as it’s basically specified as an all round urban rubber but with a road type casing. 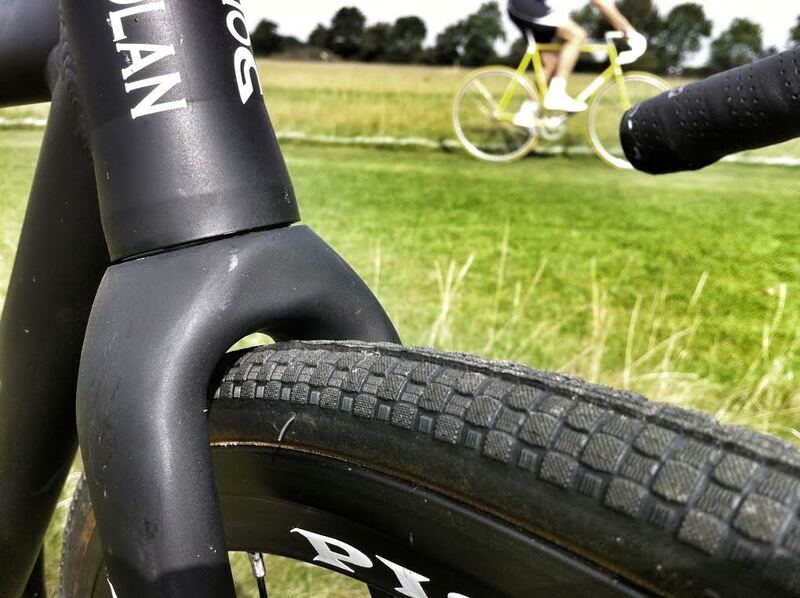 Also, the idea of running slimmer tyres on grass than the usual 30 or 32 cross tyres appealed to what CJ thought would carry more speed than his cross bike could attain on more manicured grass. Now the Karvs have a directional and continual centre ridge for low rolling resistance plus an inverted file tread across the shoulders for maximum cornering control and added flat protection. They also have a thicker than standard rubber compound under the centre tread for longer life and are extremely supple for a folding tyre of this type with a 60tpi count and weighing in at a very reasonable 226-275 grams depending on size, plus I was pretty sure they would not foul the crown of the forks so at approx’ £18.00 each and being available locally at Halfords or Evans, it was a no-brainer for CJ to give them a try. Tyre pressures go up to 125 psi so no problems would be had to suit any grass track terrain and the actual width of the tread pattern runs approx’ 25.5 millimetres on the 700×23 to 32.5 millimetres on the 700×28, so there would be enough on the sidewall to bank over and get the power down even running the 23’s where a smaller aero profile could be exploited especially as we had no designs on racing in bad conditions anyway. Clearance was attained with the 25’s on the front if the tyre seats nicely on the rims and we could go up to 28’s on the rear if the wheel was not pushed completely into the horizontal dropouts. Now before testing at an actual race meet, we set up some cones at the local park that would have CJ cornering harder than on a typical grass track circuit. 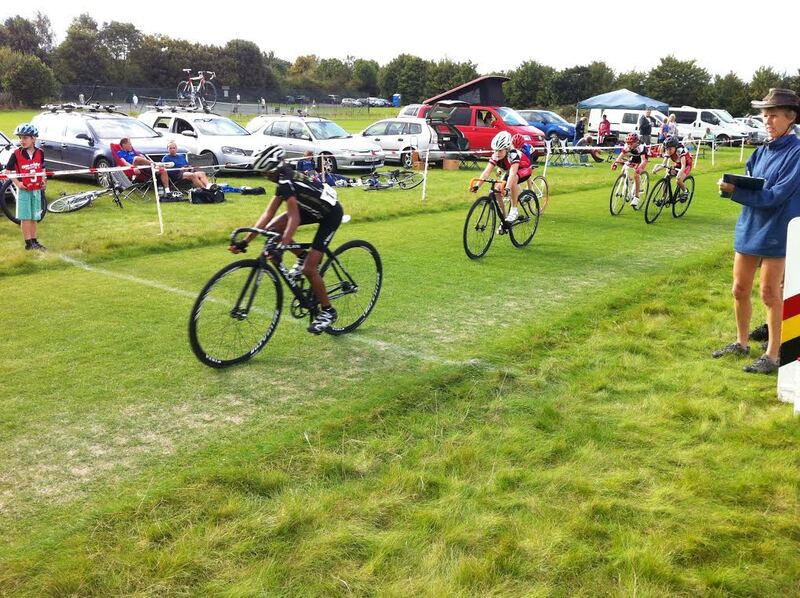 Initial feedback was noted as excellent as he dropped some extreme lean angles with no loss of traction and acceleration was quick and sure footed/wheeled, but the real test would be in race conditions at the upcoming Cycle Club Ashwell meet with them being a dedicated grass track club with strong racers. With 5 races in the Omnium event organised by Max Pendleton, the father of famed track racer Victoria and CJ being not that experienced, it was shaping up for a tough afternoon in the saddle. Placing second in the time-trial he subsequently won his heat to get to the final of the one lap sprint. In the final he was bested by Colchester Rovers and would have to wait for the ‘Devil’ event to chalk up a victory. The next two events were handicaps based on your position in the time-trial and CJ at best made 5th but only one would count in the overall standings. 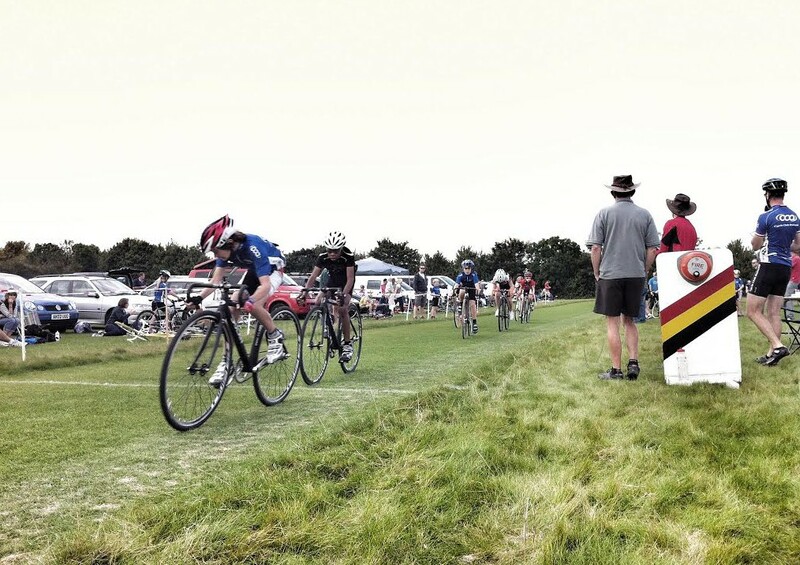 Eventually the scores were tallied up and CJ took 1st placing and the tyres in his opinion were more than up for the job at the fantastic event held by Cycle Club Ashwell and we look forward to attending more races in the future. 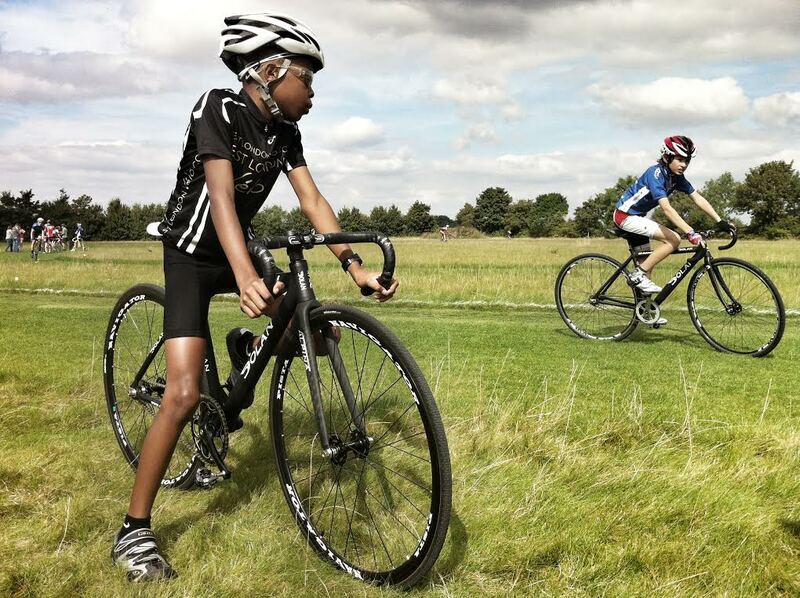 Lastly, as much as we like racing, the relaxed atmosphere for youths to race hard at grass track is such a relief from the uber macho tension in the air at other British Cycling disciplines, and this can only be good for the kids overall. Next year I hear will be Mildenhall’s 50th, so will be special.